Besides “Game of Thrones,” HBO’s “Veep” and Showtime’s “Billions” will be available, as well as network fare such as NBC’s “This is Us.” Movies will also be available, including the latest digital releases like “Deadpool 2,” “Jurassic World: Fallen Kingdom,” “Mamma Mia: Here We Go Again,” “A Quiet Place” and “I Feel Pretty” through various subscription services (click link below for more information). 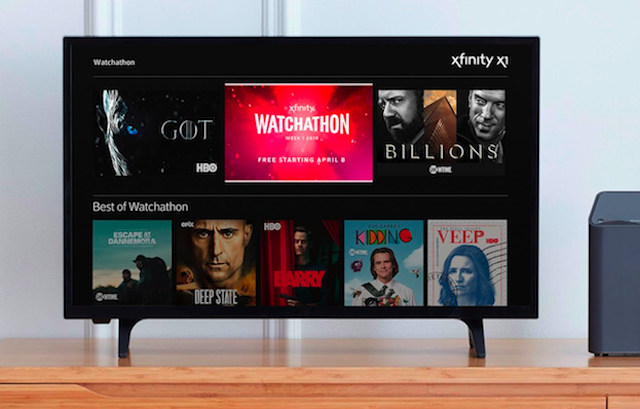 The seventh annual Xfinity TV “Watchathon Week” will take place from April 8th-14th, 2019. Content may vary across different Xfinity TV platforms. For more information about Watchathon Week, click here.